Posted on: October 11, 2017 By: Christopher Brown, Esq. Minimum wage laws are put in place to protect workers from being paid less than what is mandated by federal, state, and local legislation. Virginia has its own minimum wage law known as the Virginia Minimum Wage Act. This law is the same as the federal minimum wage of $7.25 per hour. Wage laws in Virginia apply to all counties, including Alexandria, Arlington, and Fairfax. Learn more about the wage laws that govern Virginia workers and what you should do if you believe that you are being illegally exploited over your wages by your employer. Virginia’s own minimum wage law, the Virginia Minimum Wage Act, adheres to the federal minimum wage of $7.25 per hour. However, the city of Alexandria has its own Living Wage Policy that some local employers must follow. If you work as a contractor in the city of Alexandria, your employer is required to pay you a “living wage” no less than the current set wage of $13.13 per hour. These contractors are also subject to the Living Wage Ordinance and are required to provide quarterly and annual reports of wages paid to the city. Some employees are exempt from the Virginia Minimum Wage Act. These exceptions include farm workers, traveling salespersons working on a commission basis, certain types of domestic workers, taxi drivers, newspaper carriers, babysitters, shoe-shiners, doorpersons, golf course caddies, ushers, concession attendants, persons working for summer camps, and cashiers in theaters. Other workers who are exempt include apprentices and students in bona fide apprenticeship or educational programs, as well as any person who is younger than 16 and all persons younger than 18 years old who work for a parent or legal guardian. Employers with fewer than four employees at any given time (not including family members) are also exempt. You deserve to be paid for every minute you spend working. Under the Fair Labor Standards Act (FLSA), you are owed at least minimum wage for each hour worked. You may also be entitled to overtime compensation if you are a non-exempt employee who has worked more than 40 hours in a given week. While Virginia does not have an overtime labor law of its own, the state does follow federal guidelines to determine who is eligible for overtime hours and payment. There are certain types of leave offered by some employers, including vacation, sick, holiday, or jury duty. In Virginia, employers are not required to offer workers paid or unpaid vacation benefits. However, an employer may choose to provide such benefits. Virginia law also does not require an employer to provide workers with sick leave or holiday leave, either paid or unpaid. Although an employer is not required to pay an employee for time spent serving on a jury or responding to a jury summons, the employer cannot take adverse action against an employee for time missed as long as the worker provides reasonable notice of the jury duty or summons. 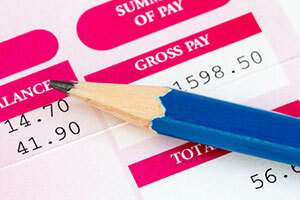 Employers must follow certain laws pertaining to wage payments. All employers must establish regular pay periods according to the type of employee. Hourly employees must be paid at least twice a month or every two weeks. Salaried employees must be paid a minimum of once a month. In Virginia, wages can be paid via cash, check payable at face value, direct deposit, or credit to a card account or prepaid debit. Upon request, an employer must provide an employee with a written statement of their gross wages which were earned by an employee during any pay period. This statement should include all deductions as well as the purpose of these deductions. Severance pay is a type of compensation that is often granted to employees upon termination of their employment. This pay is typically based on the length of the employment and usually amounts to one or two weeks of pay. Virginia labor laws do not require employers to provide workers with severance pay. However, an employee may be granted severance pay if an employer chooses to provide such benefits. If an employer does offer severance pay, it must comply with the terms of the worker’s employment contract or an established policy. If you are an exempt employee, you may not be protected under certain labor laws. Non-exempt employers must be paid for each hour worked. When determining whether or not you are a non-exempt employee, ask yourself the following questions: Does your employer allow you to clock in early and then adjust your timecard accordingly? Does your employer allow you complete work at home? Does your employer require that you get ready for work with a special uniform before clocking in? Do you ever come into work early, stay late, or work through your lunch break without being compensated? Some states allow an employer to pay an employee a lower minimum wage if the employee also earns regular tips. In Virginia, an employer is legally allowed to pay an employee less than minimum wage if he or she brings in enough tips to bring the hourly rate to the Virginia state minimum. In Virginia, an employer must pay an employee a minimum wage of $2.13 per hour. In some circumstances, an employee may be required to pool or share tips with other employees. 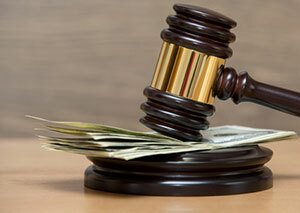 Under both federal and Virginia law, all tips earned by an employee belong to the employee. An employer is not allowed to take an employee’s tips for him or herself. Wage fraud costs employers in Virginia significant revenue each year. These financial losses can cause pressure on relationships and tension in the workplace. Work-related financial losses may include wage fraud, wage and hour claims, unpaid overtime, failure to pay commissions, unpaid benefits, and unpaid salary. If you have a wage dispute, you need an experienced employment law attorney. If your case is successful, you may be entitled to compensation from your employer for wages owed to you. Contact The Brown Firm PLLC for a free consultation today.